Two things I grow year after year are herbs and garlic. Fresh herbs and garlic make every recipe sing! Thanks for posting your lovely pics too. Lovely little garden. Makes me think that even I could grow something similar! Great! You have such a green thumb! 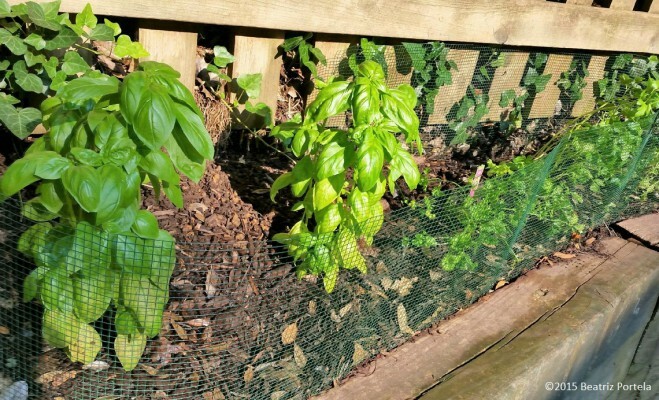 We grew some herbs also this year and the basil is amazing in flavour. Nothing like the dried stuff in stores. Bruschetta with fresh basil is heavenly. Herbed biscuits sounds tasty.